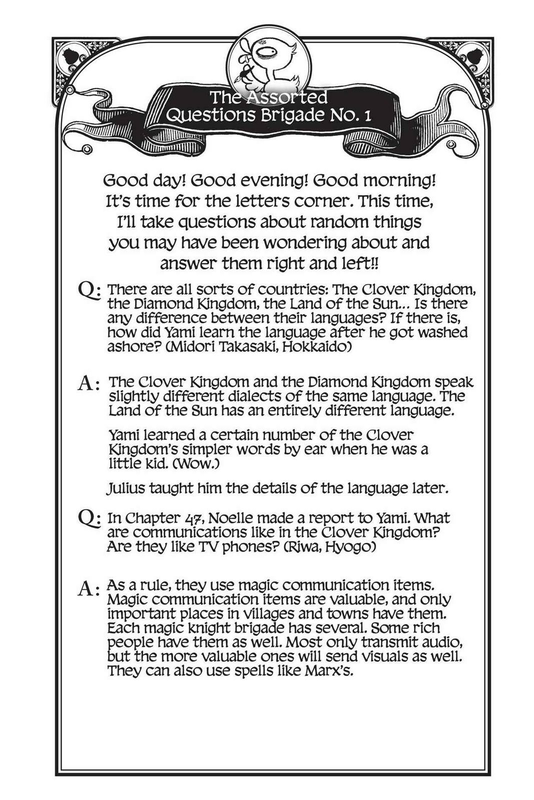 You are reading Black Clover manga chapter 075 in English. Read Chapter 075 of Black Clover manga online on readblackclover.com for free. Black Clover Chapter 075! You are now reading Black Clover Chapter 075 online. 75 chap, Black Clover Chapter 075 high quality, Black Clover Chapter 075 manga scan. And now the spirit talks to Juno lmao the story pacing is real. Captain Vengence really gets on my nerves for some reason. Having difficulty deciding who is funnier, Yami or Charmy. Asta – noelle, mimoxa, sally, rebecca. Yuno – wind spirit, charmy. Asta may be weaker now, but he’s definitely winning in the harem department.